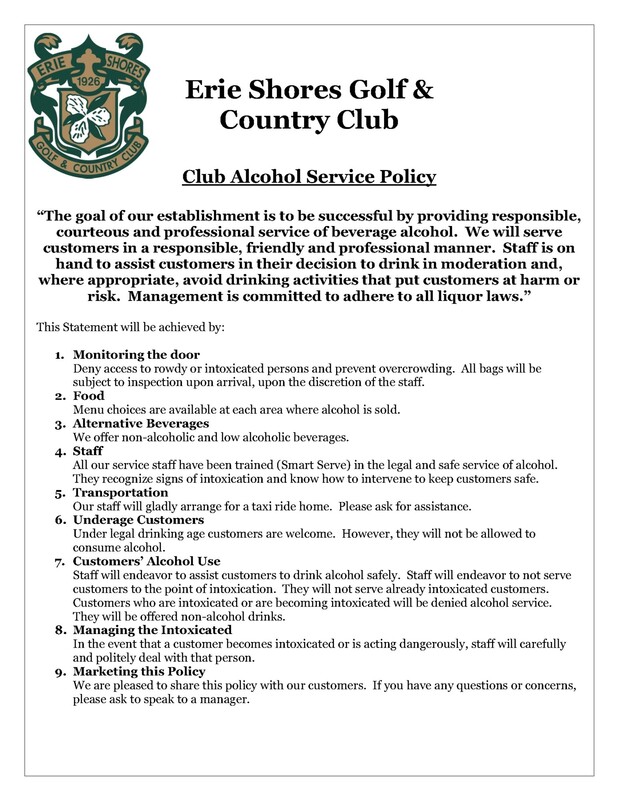 Erie Shores Golf & Country Club is committed to providing a responsible and professional service of beverage alcohol in the permitted areas. All areas are marked by signage. Alcohol MAY NOT be taken into the parking lots or across the street between the golf course and restaurant. OUTSIDE ALCOHOL IS STRICTLY FORBIDDEN ON THE PROPERTY. Our staff reserves the right to confiscate outside alcohol and ask you to leave the premises.